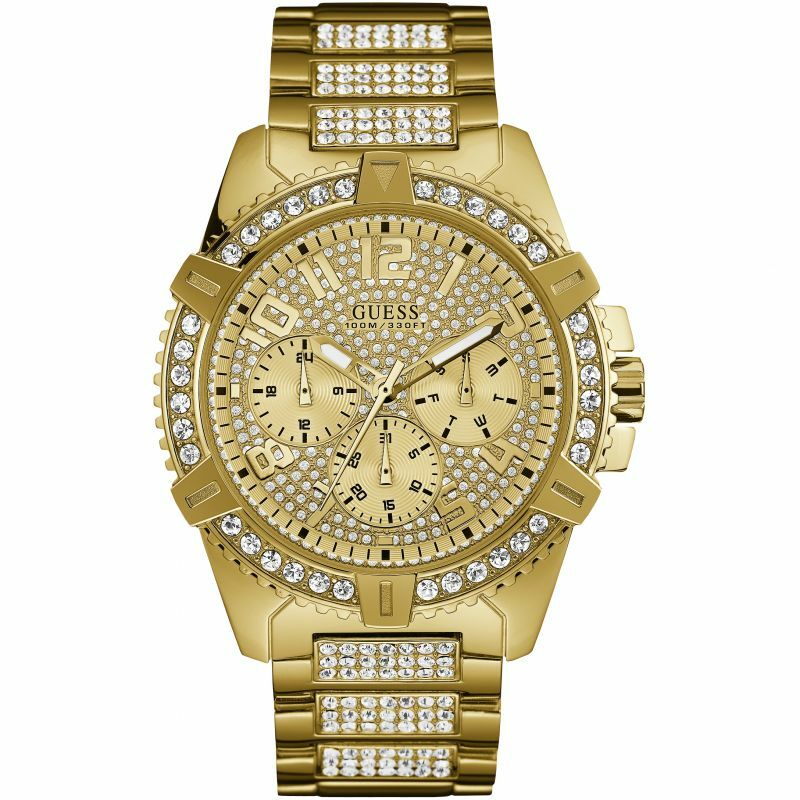 Timelessly fashionable, make a glamourous statement with a this New Year. 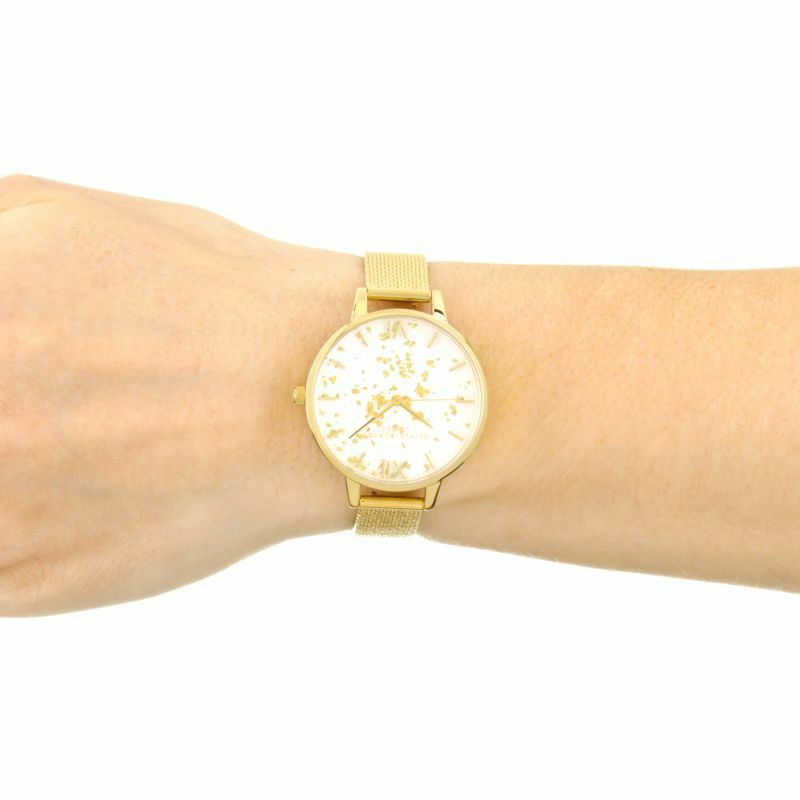 From classic vintage through to more contemporary and innovative designs, there’s a gold watch for anyone bold enough to rock it. 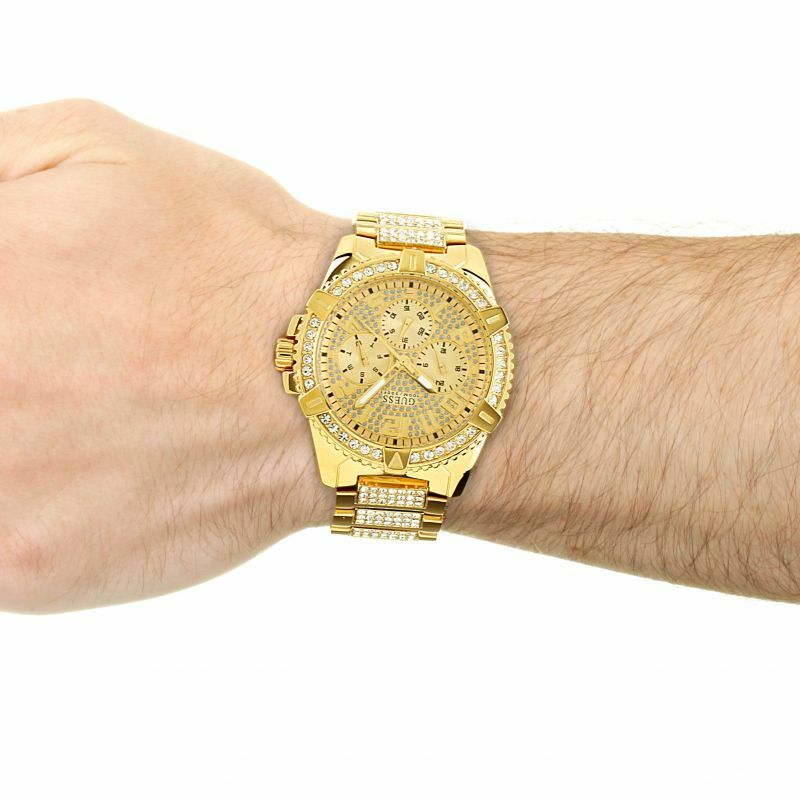 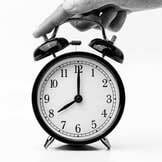 If you want a gold watch but aren’t sure how or what to choose, we’ve put together a guide to help you out. 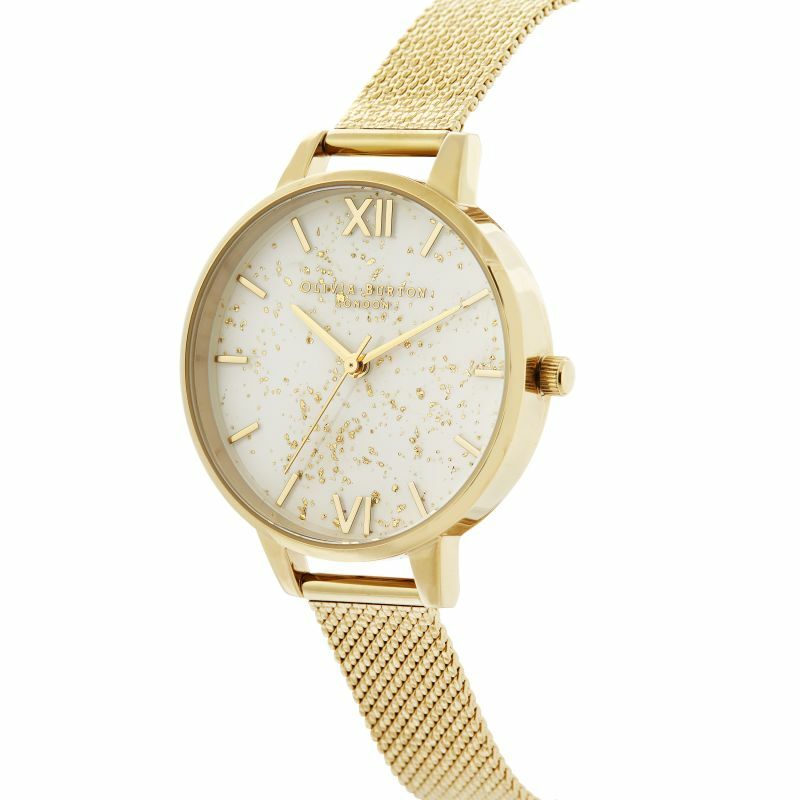 Explore some of our favourite gold watches for men and women, along with luxurious solid gold designs, and get ready to shine this year. 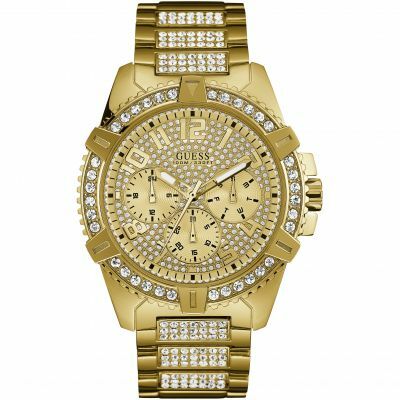 Command attention with this ultra-glitzy gent’s watch from Guess. 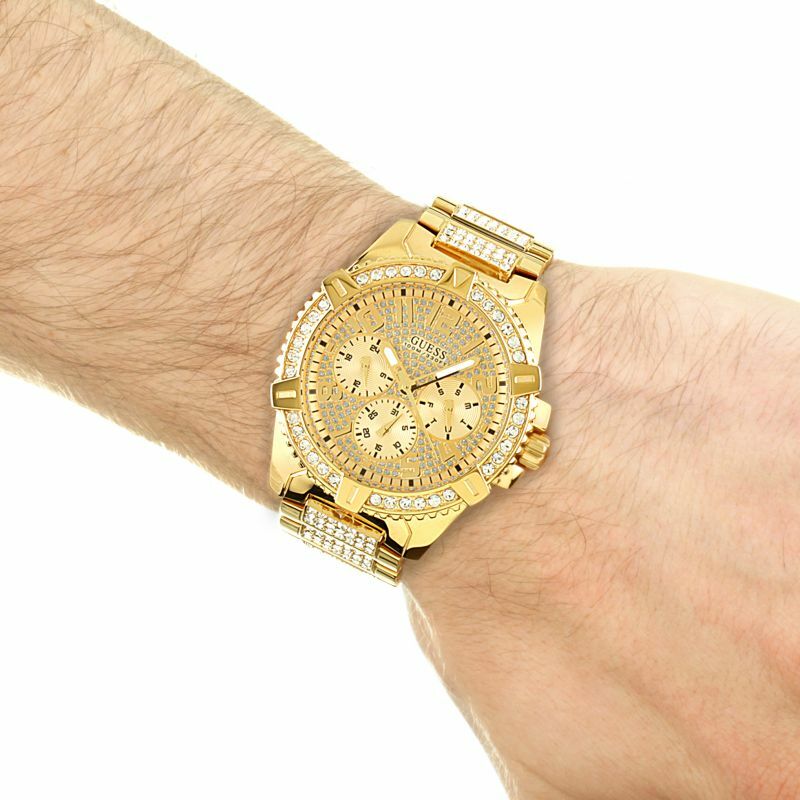 The American clothing brand is recognised for its bold approach to fashion, and the crystal studs and oversized face on this men’s watch means it promises to add something special to your ensemble. 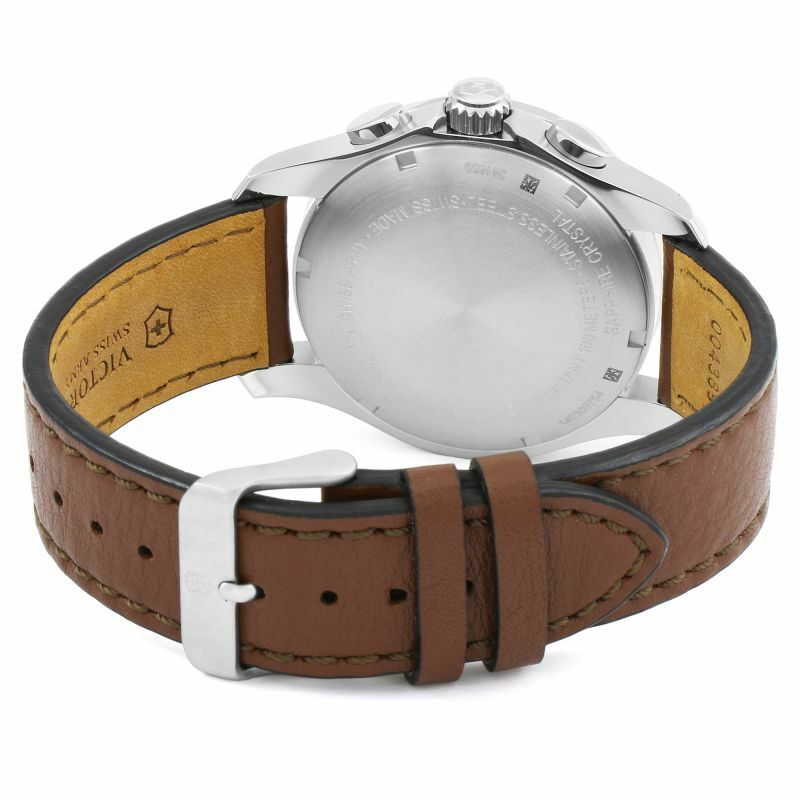 Water resistant to 50m, it’s robust enough to take on the elements all year round. 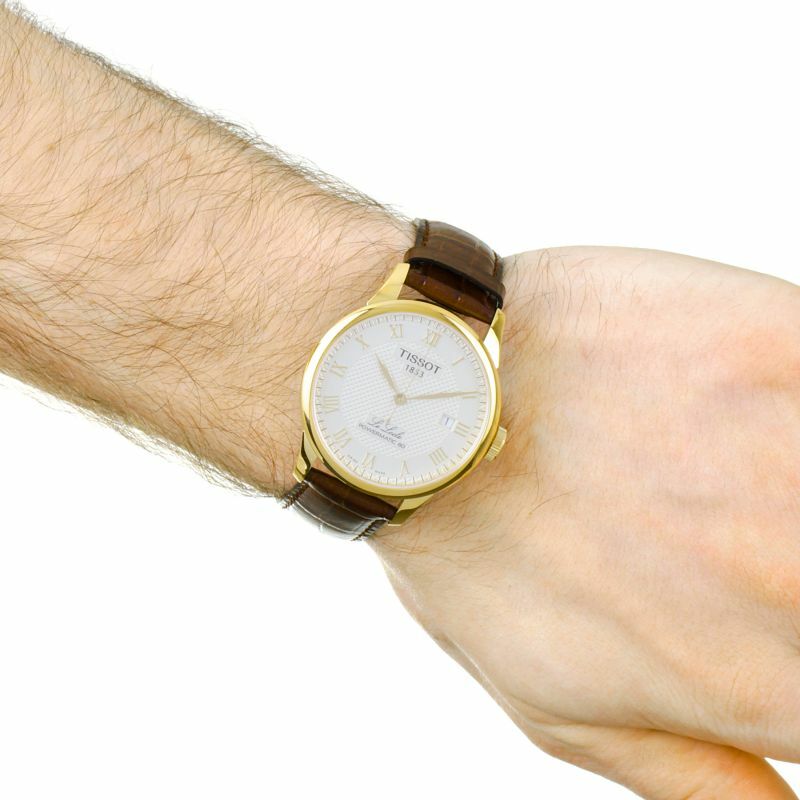 Partner it with a slick suit and patterned tie for the ultimate show of extravagance. 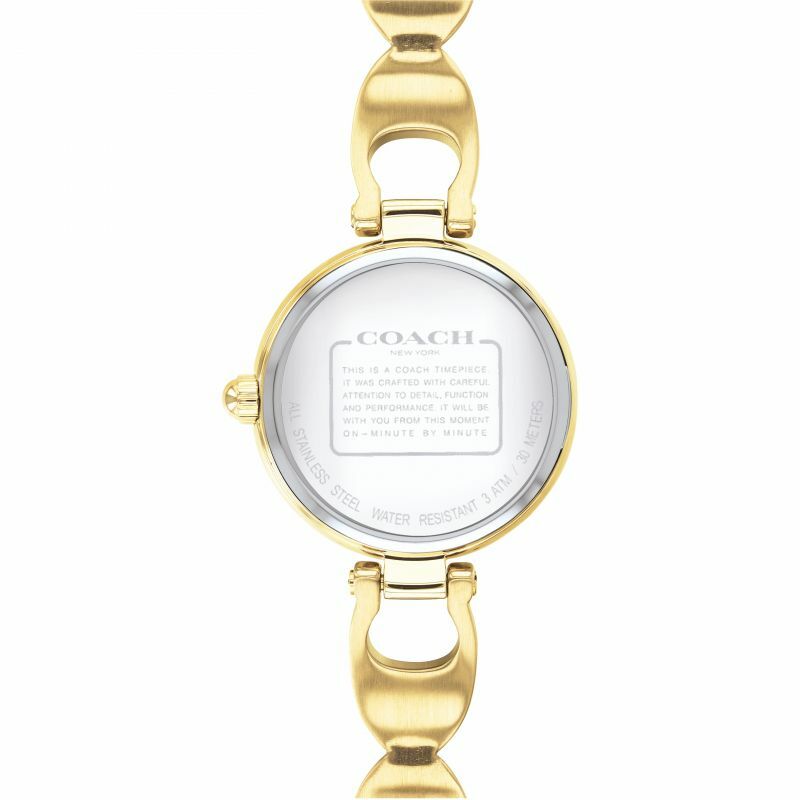 This understated ladies’ watch from Coach makes for the perfect everyday timepiece. 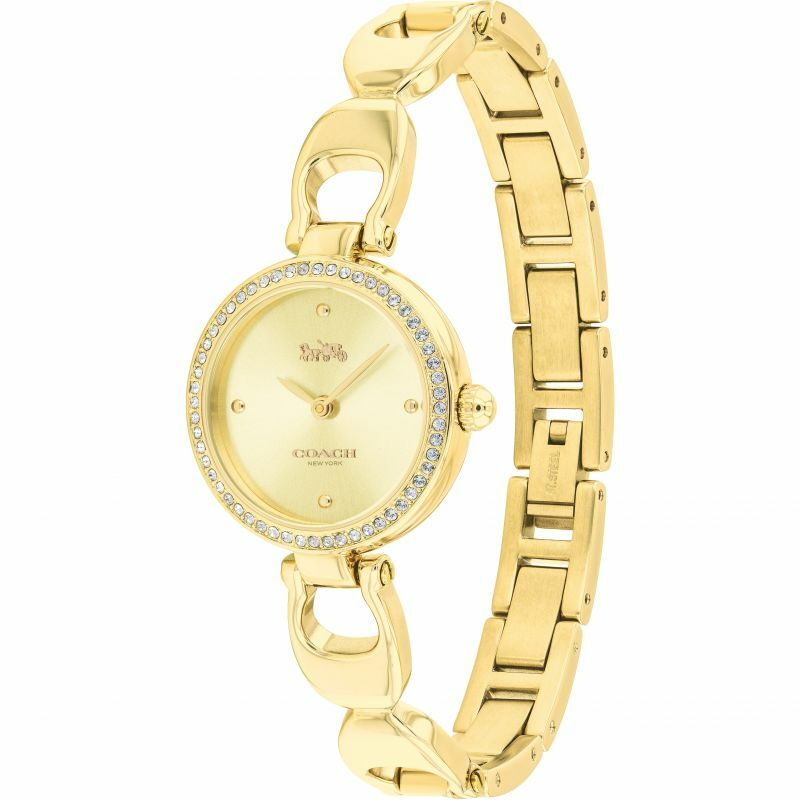 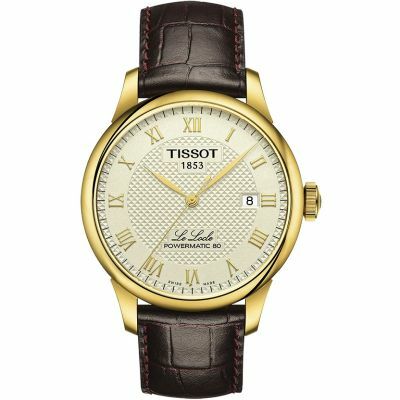 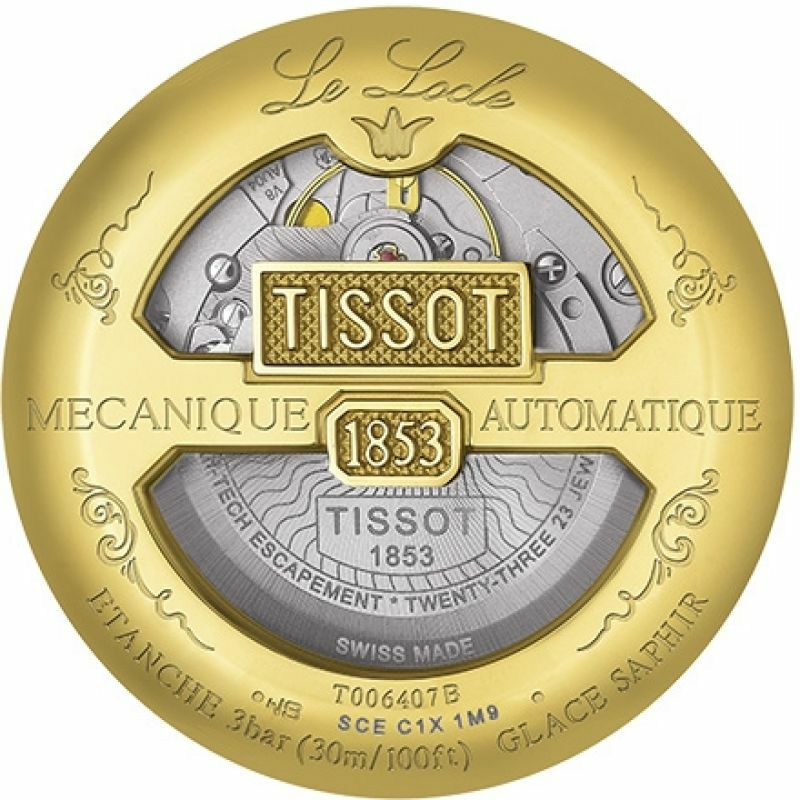 The all-over gold design is complemented by a crystal ring around the face of the watch, adding subtle class to an already charming design. 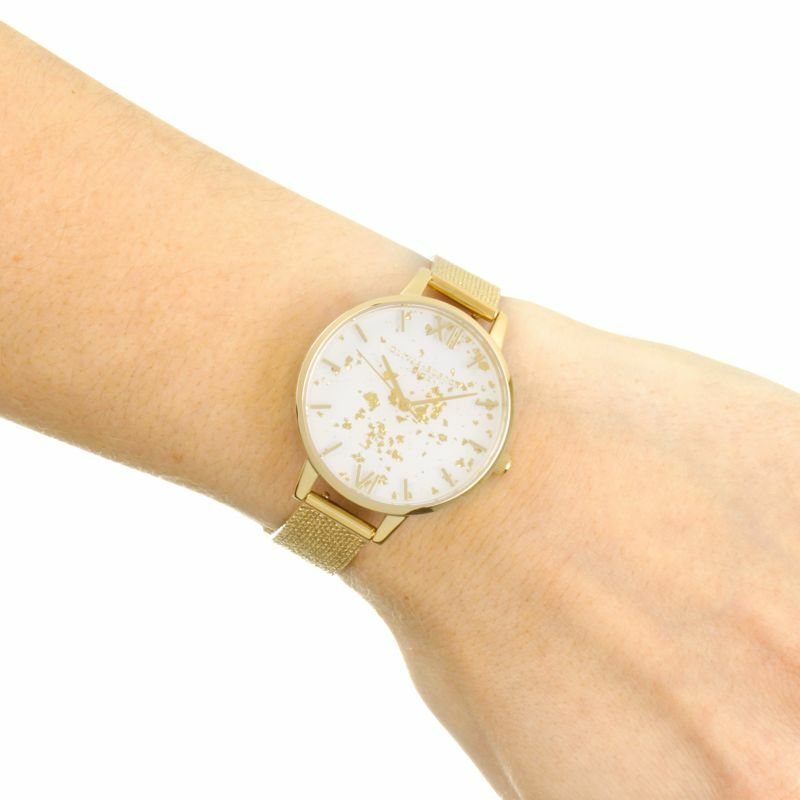 Elegant yet understated, this gold watch has a subtle quality that allows you to mix and match it with casual and formal outfits, to add a bit of shine wherever you’re headed. 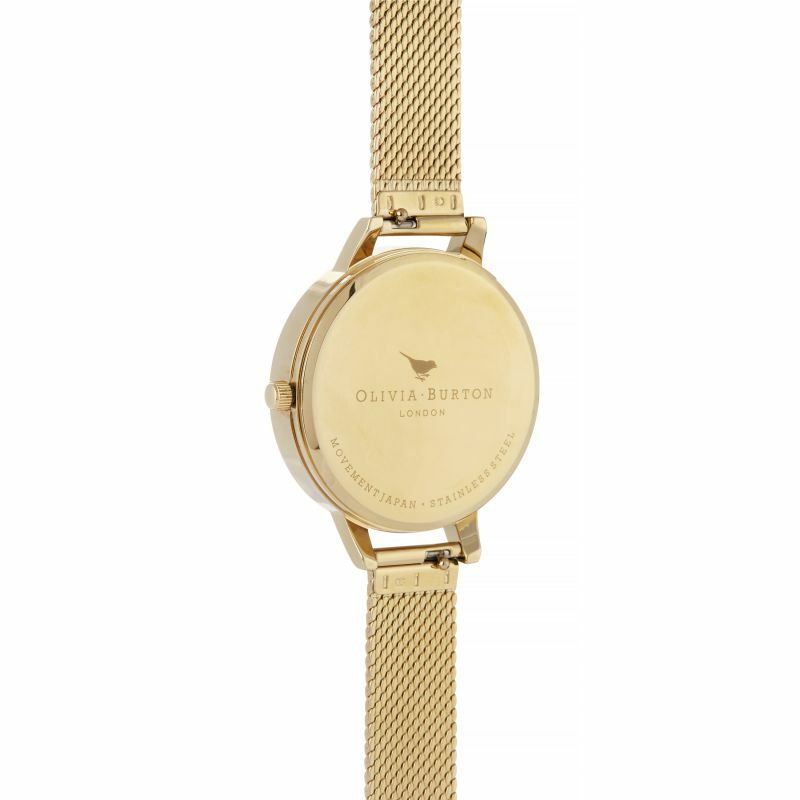 Choose something mystical with this gorgeous timepiece from Olivia Burton. Inspired by the night sky, the Celestial silver and gold watch has a glittery white and gold face, making it an enchanting accessory that promises to add a touch of magic to your outfit. 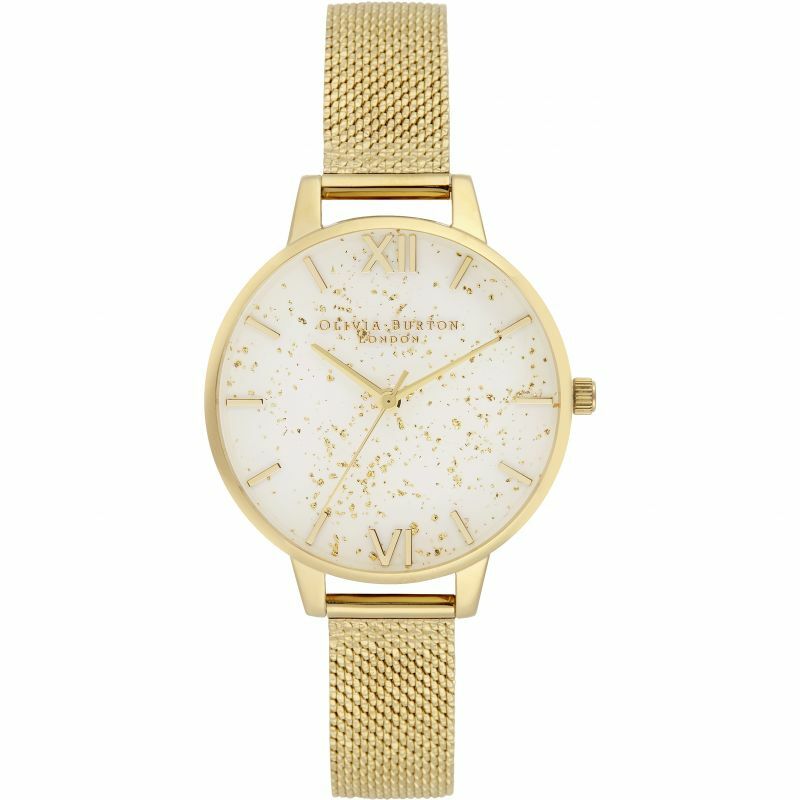 Finished with a textured boucle mesh strap, this cosmic timepiece doubles up as the perfect finishing touch, night and day. If you want to channel a minimalist look with your gold watch, look no further than this timeless design from Armani Exchange. 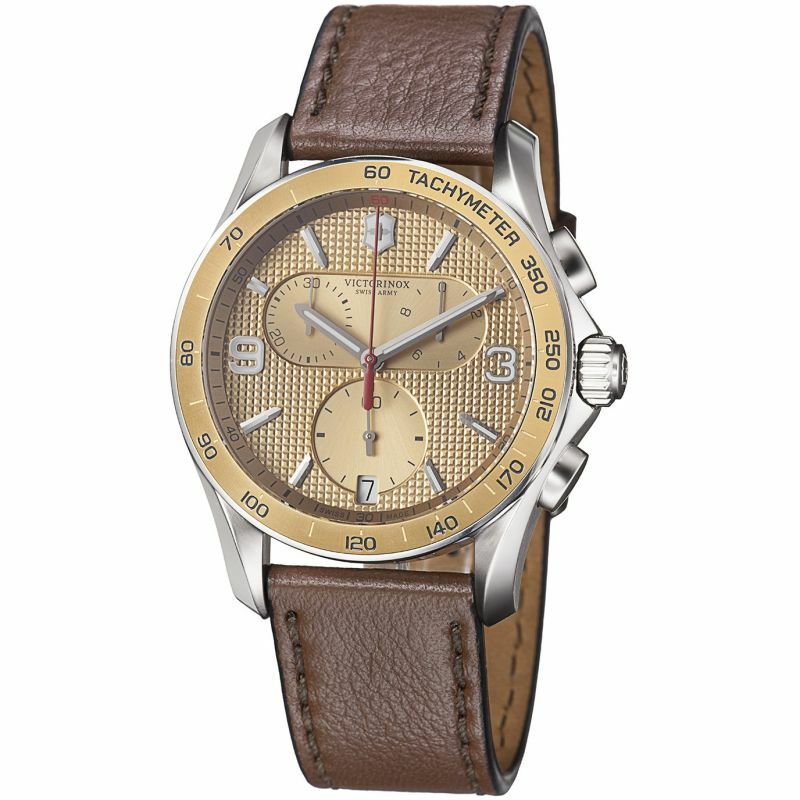 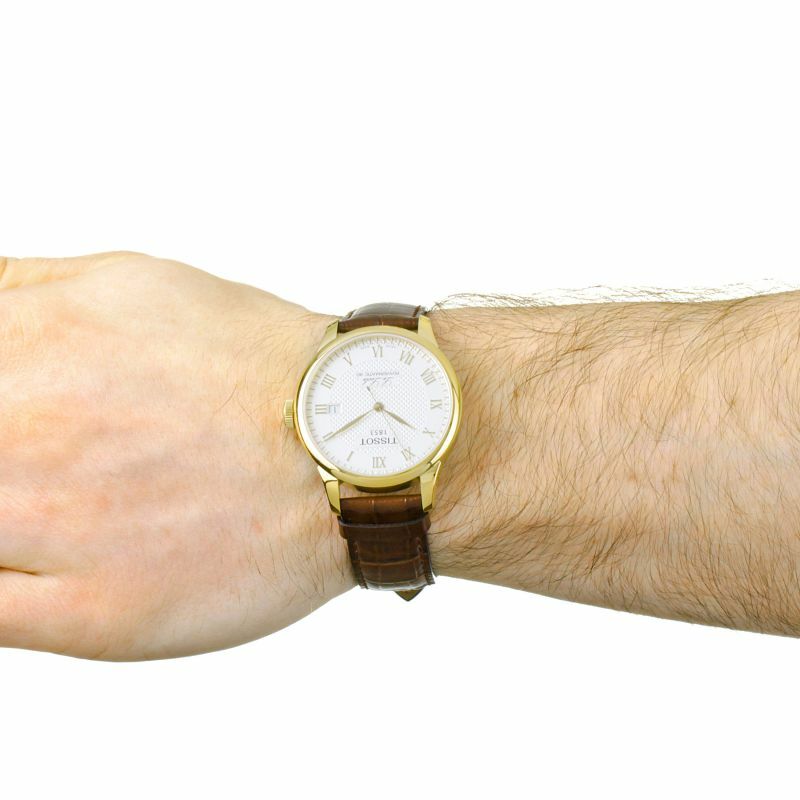 This ultra-modern watch features a smart brown leather strap, which effortlessly matches the muted gold face, giving it a subtle, neutral finish. 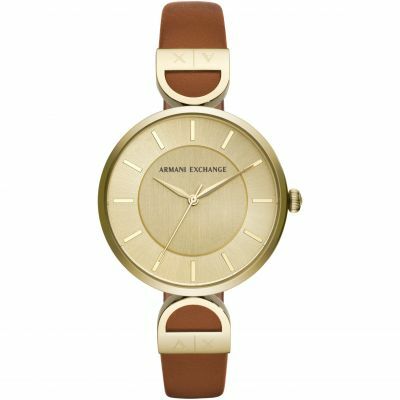 Finish off any outfit with a splash of sophistication with this effortlessly sleek ladies’ timepiece, perfect whether you’re in the office or dressed down on the weekend. 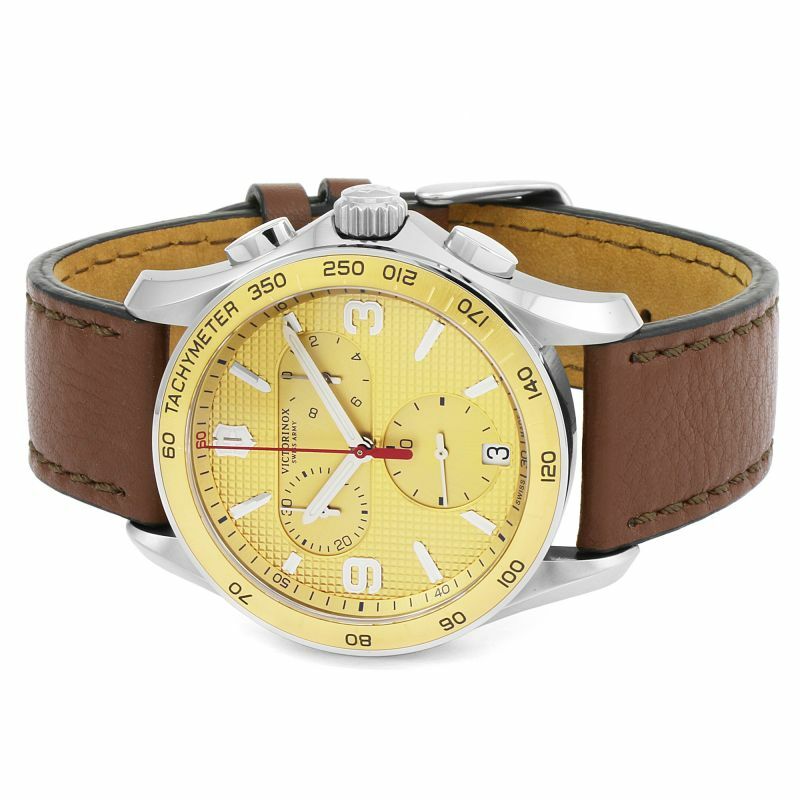 The original creators of the iconic Swiss Army Knife, Victorinox is famed for producing watches that can withstand the elements. 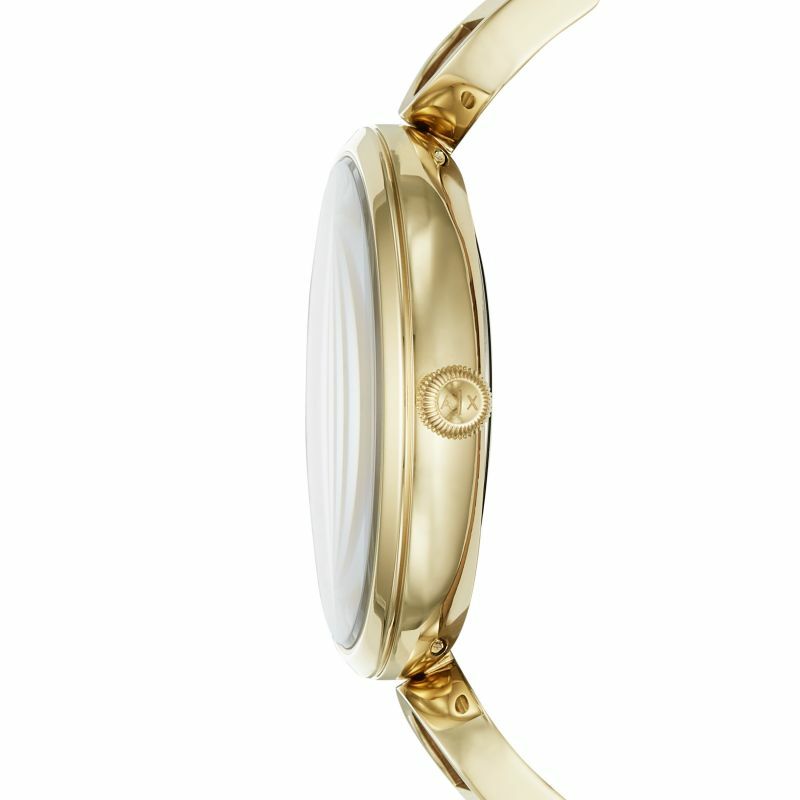 The gold trim of the Victorinox Swiss Army watch adds a level of class to your time spent in the great outdoors. 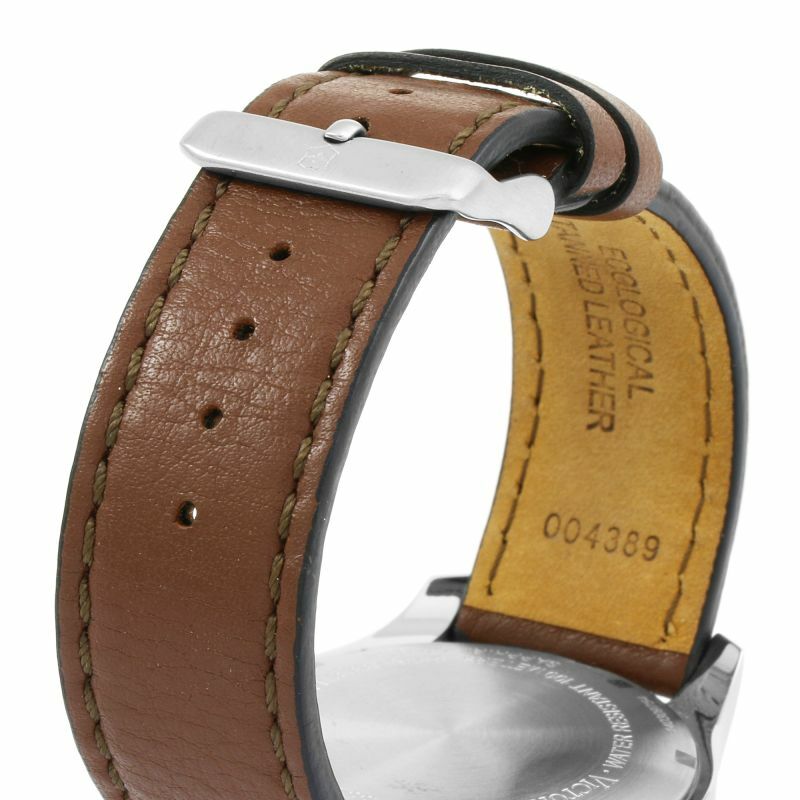 Water resistant up to 100m, it’s the perfect companion for anyone who loves to get out and about in all weathers. 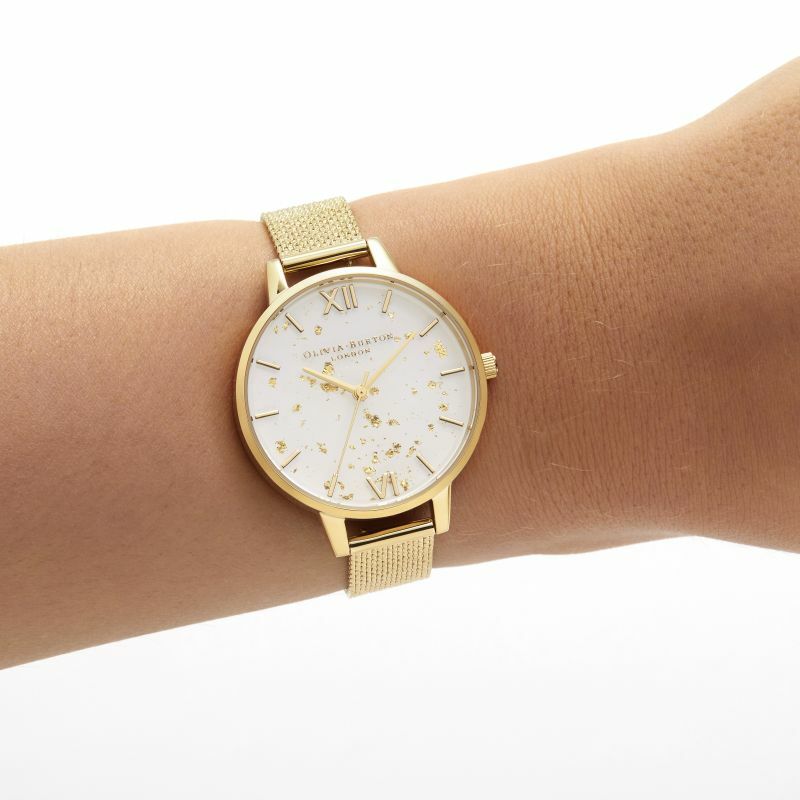 A gold watch adds a little something special to your outfit. 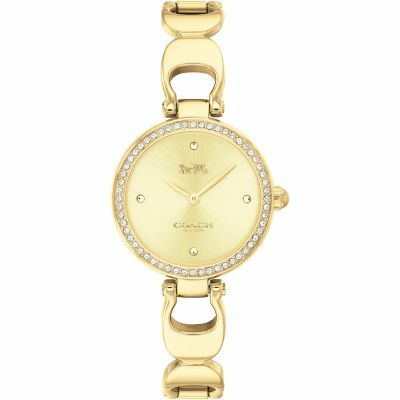 Whether you need something glam to accompany you to a party, you want an extra edge while you tackle nature, or you’re looking to stand out at work, then there’s a gold watch for you. 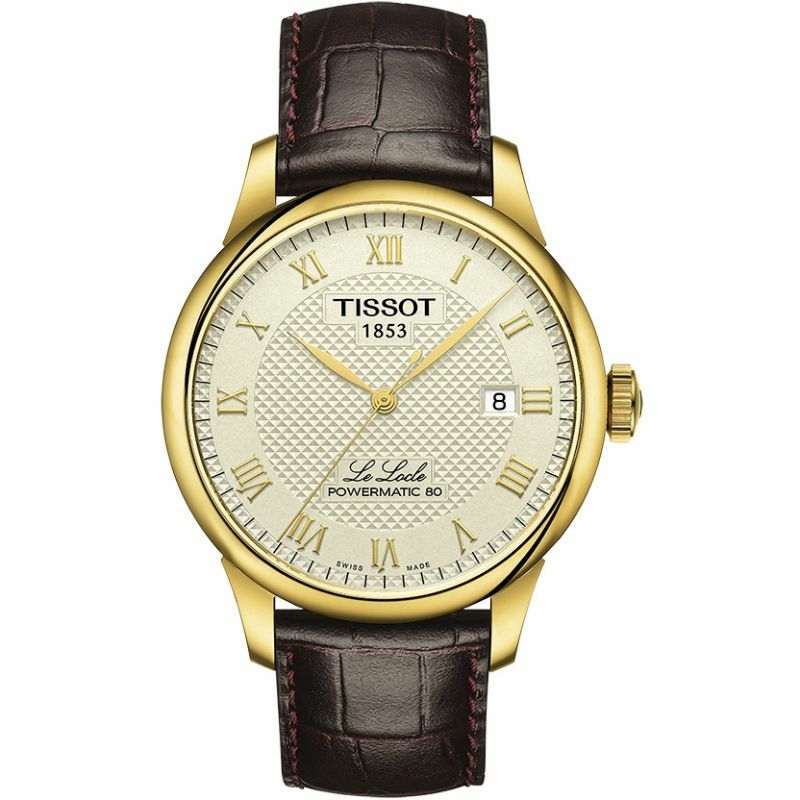 Browse our full collection of gold watches for men and women to discover your next statement timepiece. 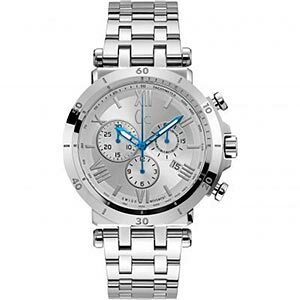 Enhance your wardrobe with a silver watch for every occasion. 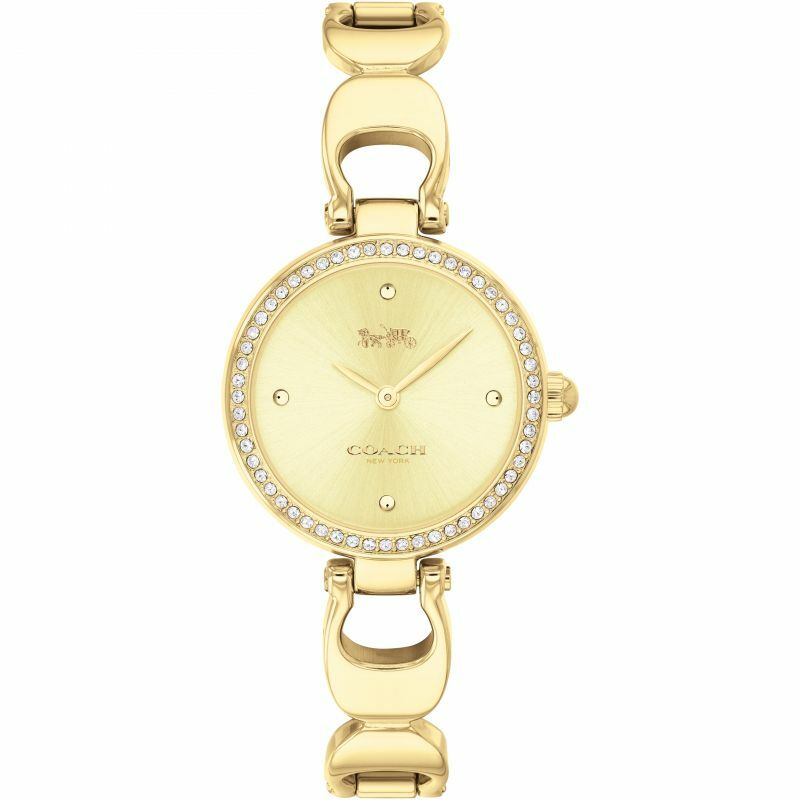 From classic designs to out-of-this-world pieces, explore some of our favourite silver watches from top brands, including Gucci, Raymond Weil, and STORM.